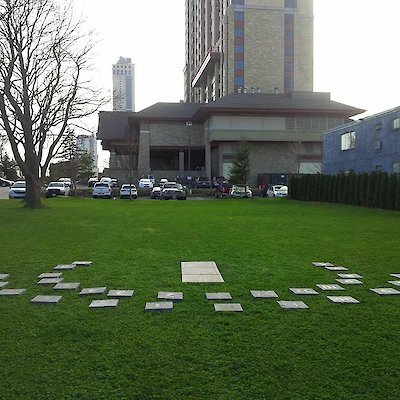 There's a new cool attraction at the DoubleTree Fallsview Resort & Spa by Hilton - Niagara Falls! It's called a human sundial. 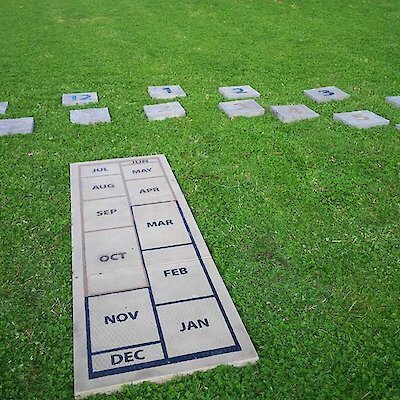 A Human Sundial or Sunclock, an interactive horizontal sundial that uses a person's own shadow to tell the time. It contains a Date Scale, where one stands, and a series of Hour Points which are positioned along an ellipse. 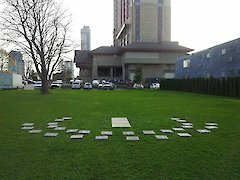 Human Sundials are the true local clock time, not the ‘sun time’ shown by regular sundials, which require confusing adjustments in order to know the real time and adjusts to the Spring and Autumn time changes.